As a top honeymoon destination, India has it all. From bustling cities to mystic jungles and glorious coastline, there really is something for everyone. Choosing where to stay or visit is always difficult when planning a honeymoon, so we’ve decided to narrow down your search. 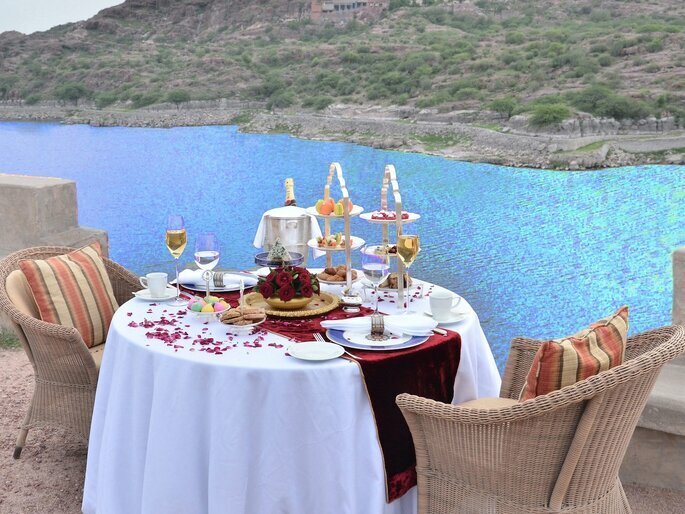 Here are the top honeymoon retreats in India, for every style of trip. India’s beautiful beaches offer solitude, tranquillity, and romance, making the perfect backdrop for your first holiday as newlyweds. You’ll find the most spectacular beach retreats in Goa, a Western Indian state caressed by the Arabian Sea. 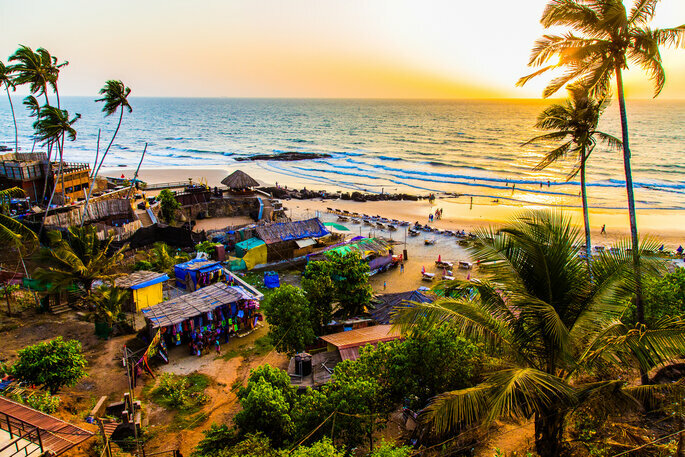 For tourists, Goa is a glistening blend of Portuguese and Indian culture, complete with tropical spice plantations, quaint fishing villages and the most fantastic sunsets along the coast. For an exclusive 5 star hotel with stunning views of Goa’s coast, look no further than the luxury hotel W Goa. 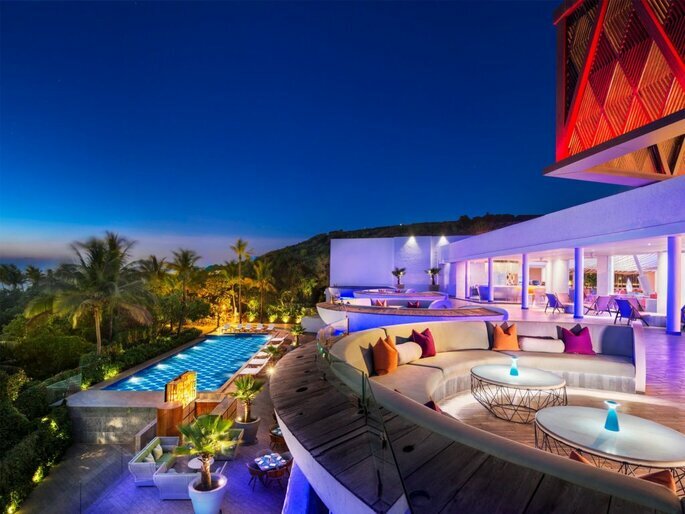 Part of W Hotels Worldwide, with an international reputation for impeccable service in a trendy environment. It’s the perfect place for a stylish honeymoon. The Grand Hyatt Goa is another top pick, with a large pool, swaying palm trees, an incomparable spa, and dining facilities. The picturesque property is situated in Bambolim Bay in North Goa. 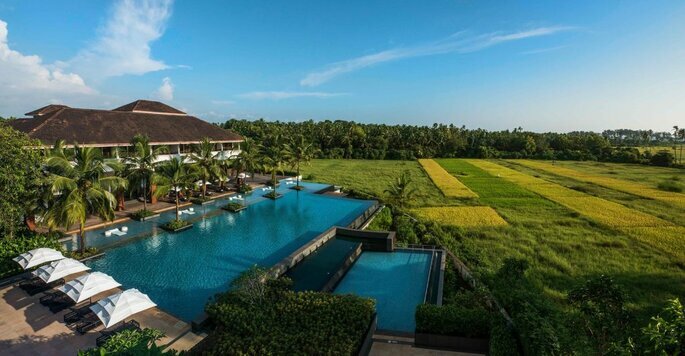 For lush green surroundings that take your breath away, check out the lavish Alila Diwa resort by Gonsua Beach. Surrounded by paddy fields that stretch out to sandy white coast provides an enchanting atmosphere for a romantic walk. Or have a relaxing time and take in the vista from the 35m infinity pool. 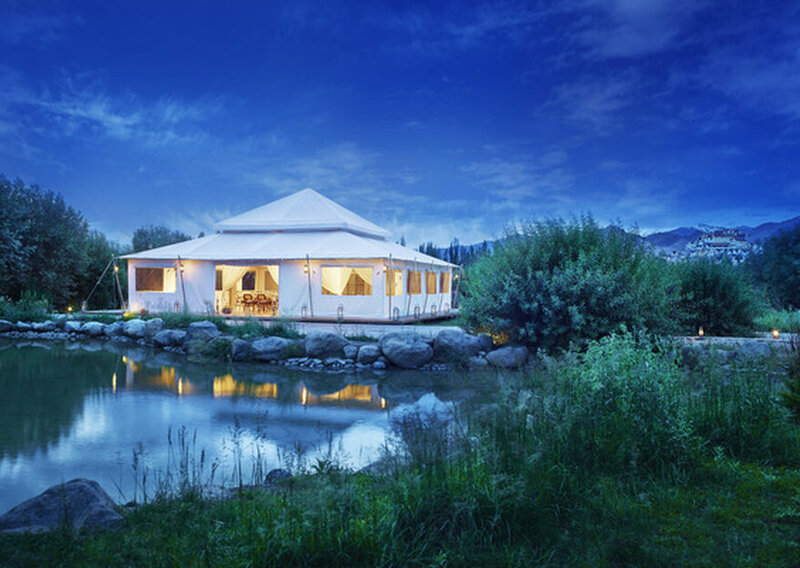 If you’re an active couple that wants to explore the majestic Himalayas, then there are some wonderful places to stay. Idyllic beaches may be romantic, but there is something so alluring about India’s sacred mountains. 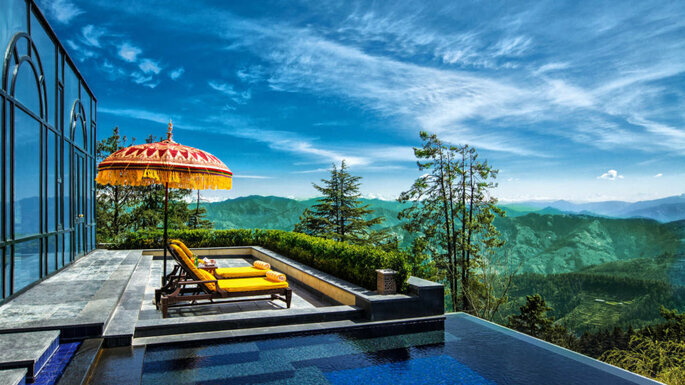 The Oberoi Wildflower Hall Resort in Shimla is one of the most iconic properties. 8000 feet above sea level, you can enjoy nature walks, rafting, cycling or yoga. Want to relax? Then rejuvenate with an exclusive spa therapy. You can experience top-notch cuisine at their restaurant, know for its stunning views of the Himalayas. 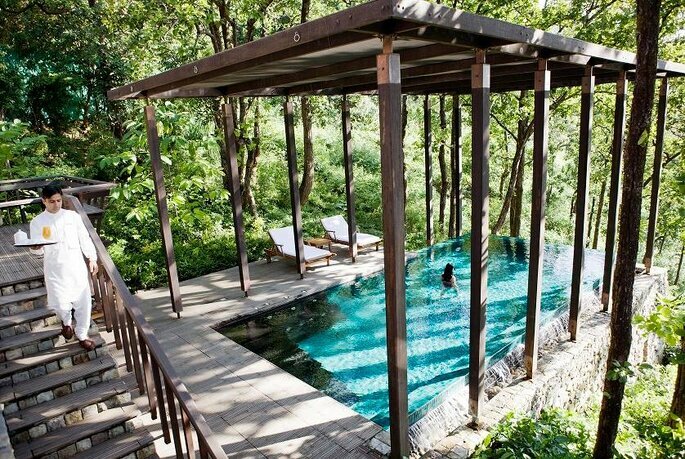 Ananda Spa, an award-winning luxury destination spa resort, is homed in a 100-acre Palace Estate, the resort is surrounded by enchanting forests and provides a tranquil getaway. Ananda provides organic, healthy cuisine and a spiritual experience so that you can truly relax and detox from the wedding festivities. For the really adventurous newlyweds, how about some glamping? Chamba Camp Thiksey provides the most special experience for couples on their honeymoon, by providing a luxury camping retreat in which you can sleep under the stars and be closer to nature. A once in a lifetime experience! From grand mansions converted into boutique hotels or heritage, forts turned into retreats, you will be spoiled for choice in India. Umaid Bhawan Palace – A Taj Luxury Hotel is one such grand architectural heritage structure. So this is your pick if you want to take in a bit of history while you get treated like royalty on your honeymoon. Alternatively, visit the Ranbanka Palace, a luxury boutique hotel where you can experience true elegance and romance. As an iconic royal residence built in 1927, you not only have the best of old world charm but with a modern day twist. 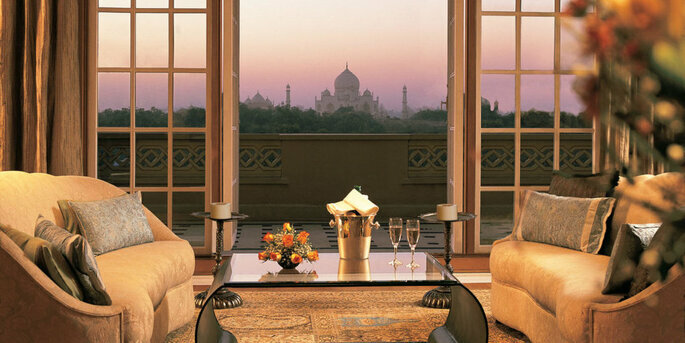 There’s no denying that the Taj Mahal is on most couples’ bucket-list for their honeymoons. It is, after all, an ode to love. The Oberoi Amarvilas is a sight to behold in itself. It is located just 600 meters from the iconic Taj Mahal, and so each of their rooms provides views of this ancient monument to love. The hotel represents Mughal splendour, and you can enjoy a candlelit dinner under the shadows of this wonder of the world. For a simple yet elegant stay, how about Agra’s Radisson Blu Taj East Gate. A contemporary hotel, which also boasts a lovely view of the Taj Mahal and it even has an infinity pool that overlooks it. 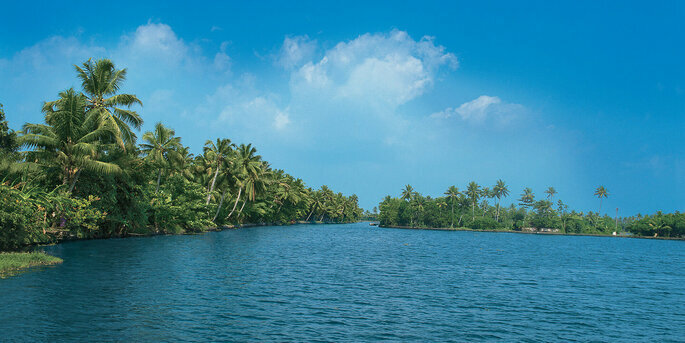 For a truly unwinding getaway head to the South of India and straight to Kerala, where lies a unique experience with The Oberoi Motor Vessel Vrinda. Book a cabin just for yourselves or book the whole boat and make a party out of your honeymoon with friends. 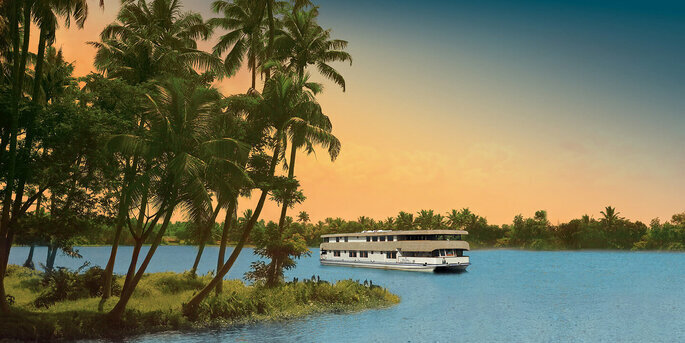 Sit back and relax as you wind your way down the lush and serene backwaters synonymous with this state. So, whether you’re looking for a beautiful beach, a magical mountain getaway, or a royal retreat, we’ve got you covered. You won’t regret picking any of these retreats for your romantic honeymoon in India.